I used white cake mix for this recipe. It was easy and fast to whip up. All I did was add wine, oil and eggwhites, beat the batter in a few minutes and into the oven it went. I frosted it with vanilla butter cream. For the individual slices, I baked it in a cookie sheet with shallow sides. 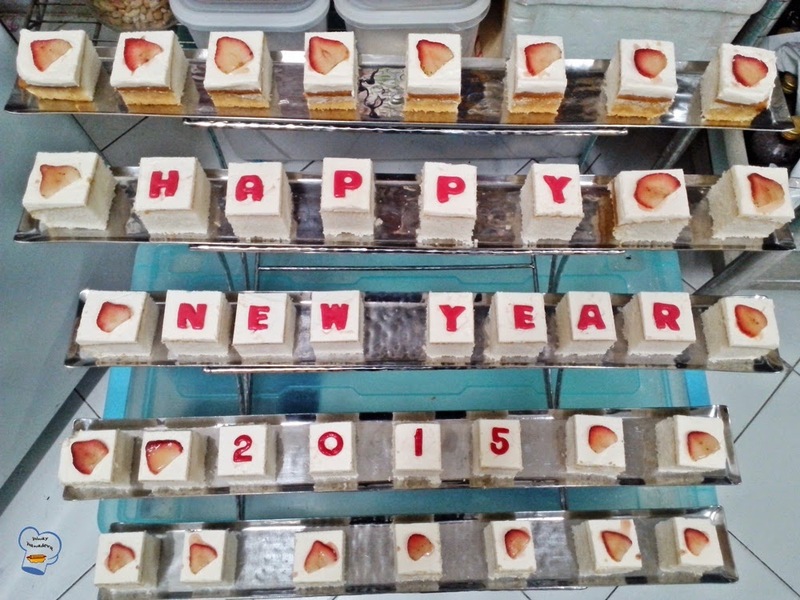 I cut out the words "Happy New Year 2015" from rolled fondant and put each letter on each cake. 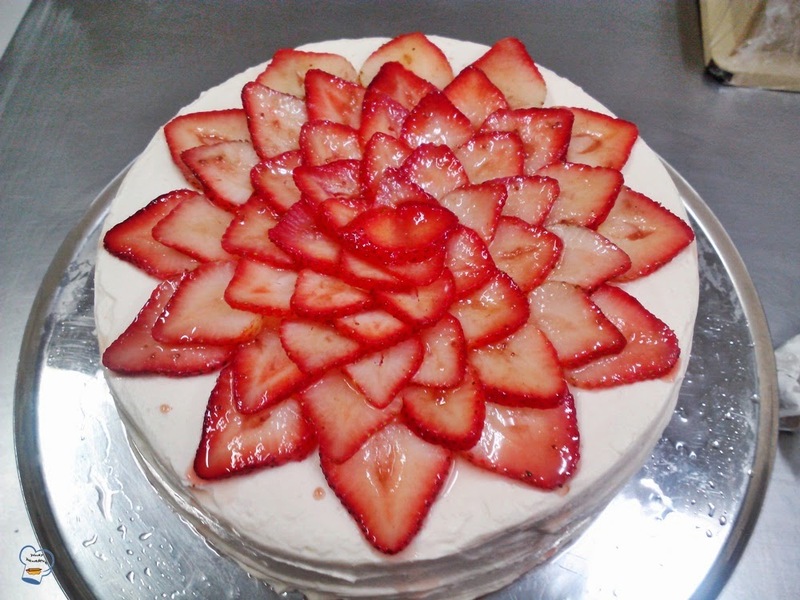 I decorated the rest with strawberry slices. 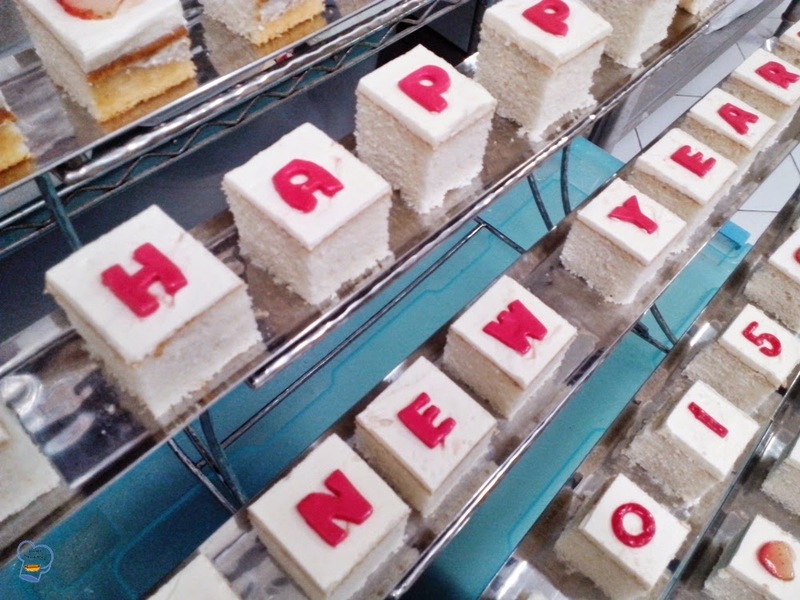 This was how I arranged the cake on the trays. I finished work before dinner even started but I prepared it in advance. I was afraid whoever would set up the dessert room would not arrange it in the way I wanted.